This is “The Banking System and Money Creation”, section 9.2 from the book Macroeconomics Principles (v. 2.0). For details on it (including licensing), click here. Over time, some nonbank financial intermediaries have become more and more like banks. For example, brokerage firms usually offer customers interest-earning accounts and make loans. They now allow their customers to write checks on their accounts. The fact that banks account for a declining share of U.S. financial assets alarms some observers. We will see that banks are more tightly regulated than are other financial institutions; one reason for that regulation is to maintain control over the money supply. Other financial intermediaries do not face the same regulatory restrictions as banks. Indeed, their relative freedom from regulation is one reason they have grown so rapidly. As other financial intermediaries become more important, central authorities begin to lose control over the money supply. 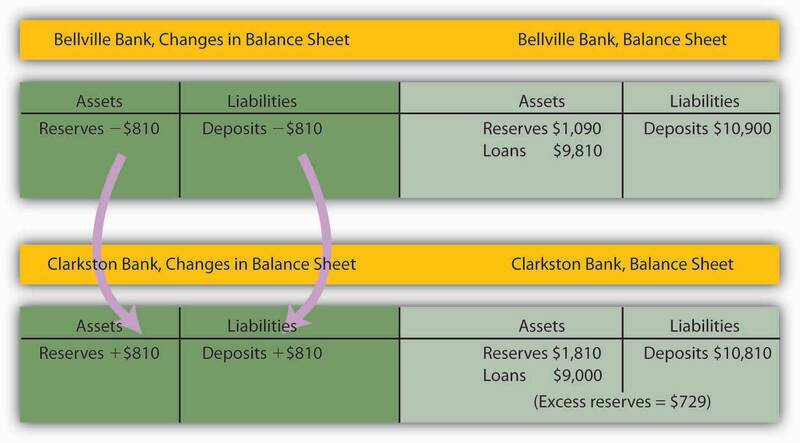 Table 9.1 "The Consolidated Balance Sheet for U.S. Commercial Banks, January 2012" shows a consolidated balance sheet for commercial banks in the United States for January 2012. 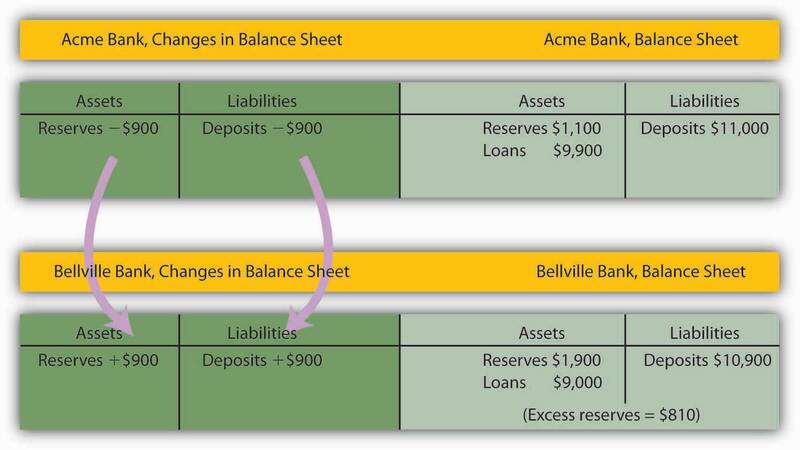 Banks hold reserves against the liabilities represented by their checkable deposits. Notice that these reserves were a small fraction of total deposit liabilities of that month. Most bank assets are in the form of loans. This balance sheet for all commercial banks in the United States shows their financial situation in billions of dollars, seasonally adjusted, in January 2012. Source: Federal Reserve Statistical Release H.8 (February 17, 2012). To reduce the number of bank failures, banks are limited in what they can do. 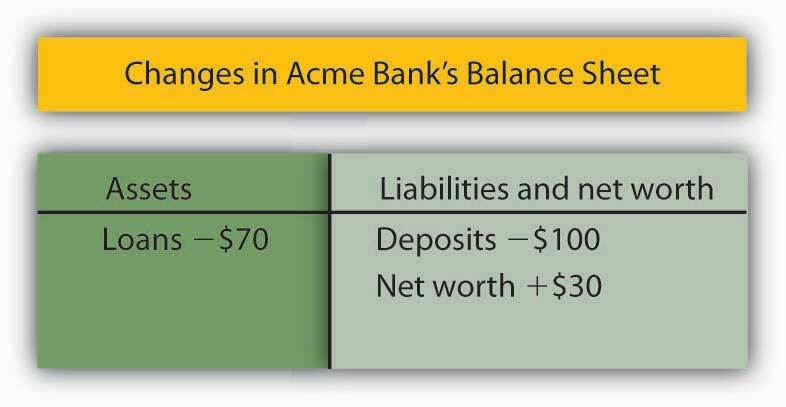 Banks are required to maintain a minimum level of net worth as a fraction of total assets. Regulators from the FDIC regularly perform audits and other checks of individual banks to ensure they are operating safely. In the aftermath of the Great Depression and the banking crisis that accompanied it, laws were passed to try to make the banking system safer. The Glass-Steagall Act of that period created the FDIC and the separation between commercial banks and investment banks. Over time, the financial system in the United States and in other countries began to change, and in 1999, a law was passed in the United States that essentially repealed the part of the Glass-Steagall Act that had created the separation between commercial and investment banking. Proponents of eliminating the separation between the two types of banks argued that banks could better diversify their portfolios if allowed to participate in other parts of the financial markets and that banks in other countries operated without such a separation. Similar to the reaction to the banking crisis of the 1930s, the financial crisis of 2008 and the Great Recession led to calls for financial market reform. The result was the Dodd-Frank Wall Street Reform and Consumer Protection Act, usually referred to as the Dodd-Frank Act, which was passed in July 2010. More than 2,000 pages in length, the regulations to implement most provisions of this act were set to take place over a nearly two-year period, with some provisions expected to take even longer to implement. This act created the Consumer Financial Protection Agency to oversee and regulate various aspects of consumer credit markets, such as credit card and bank fees and mortgage contracts. It also created the Financial Stability Oversight Council (FSOC) to assess risks for the entire financial industry. The FSOC can recommend that a nonbank financial firm, such as a hedge fund that is perhaps threatening the stability of the financial system (i.e., getting “too big to fail”), become regulated by the Federal Reserve. If such firms do become insolvent, a process of liquidation similar to what occurs when the FDIC takes over a bank can be applied. The Dodd-Frank Act also calls for implementation of the Volcker rule, which was named after the former chair of the Fed who argued the case. The Volcker rule is meant to ban banks from using depositors’ funds to engage in certain types of speculative investments to try to enhance the profits of the bank, at least partly reinstating the separation between commercial and investment banking that the Glass-Steagall Act had created. There are many other provisions in this wide-sweeping legislation that are designed to improve oversight of nonbank financial institutions, increase transparency in the operation of various forms of financial instruments, regulate credit rating agencies such as Moody’s and Standard & Poor’s, and so on. Given the lag time associated with fully implementing the legislation, it will probably be many years before its impact can be fully assessed. Similar to the passage of the Glass-Steagall Act during the Great Depression, the Dodd-Frank Act was the comprehensive financial reform legislation that responded to the financial crisis in 2008 and the Great Recession. 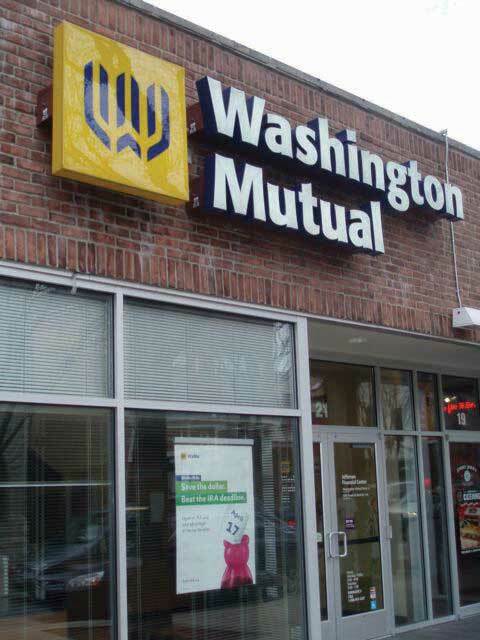 Sources: Eric Dash and Andrew Ross Sorkin, “Government Seizes WaMu and Sells Some Assets,” New York Times, September 25, 2008, p. A1; Kirsten Grind, “Insiders Detail Reasons for WaMu’s Failure,” Puget Sound Business Journal, January 23, 2009; and FDIC Web site at https://www.fdic.gov/edie/fdic_info.html.